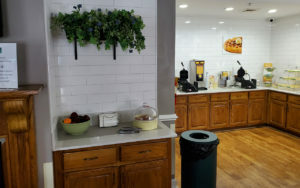 Glance through our photo gallery to get acquainted with the comfort and convenience of a hotel perfect for those planning on experiencing the recreational and cultural activities in Richmond, Kentucky. Our guests are treated to a quiet, peaceful stay with amazing amenities and an ideal location all for a reasonable price. Take a closer look at our welcoming lobby, well-equipped exercise room, business center, refreshing swimming pool, and a variety of comfortable room options. Imagine waking up in one of our comfy pillow-top beds, getting ready in the spacious bathroom, and starting your day out right with our complimentary hot breakfast in our comfortable dining area. 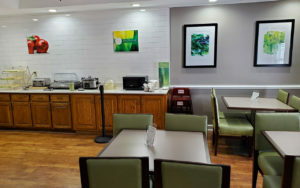 As our guest at Quality Inn, you will discover why our guests continue to rate us as one of the best hotels to stay while visiting Richmond. 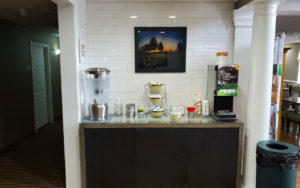 From our lobby to your room, you’ll find we do what we can to ensure you’re completely satisfied. We invite you to reserve your room today!